It’s me, Lang Lang here to chat about my new album “Piano Book”. This album is a collection of pieces that made me want to become a musician in the first place! Rediscovering the most popular and accessible pieces written for learners and lovers of the piano, this album is a journey, of inspiration, of discovery, fantasy and learning. It is also a reflection on the music that influenced me most during my early childhood, later in life coping with difficult moments, and working with young piano learners around the world. Music can change lives and Piano Book tells this story. So don't worry. As a human being we all get nervous. This is a common thing. Try to focus only on your sincere connection between you and the music. Don't think too much on everything else going on. Think about how to make the performance as smooth and enjoyable for yourself. Think about the music and connection rather than getting into the school. Look and scan at your scores before your performance. Eat some chocolate and take a breath. Do some breathing exercises and relax your shoulders. The hardest part is to always keep fresh minded in our practice process and also to always have the confidence to perform on stage. So the advice would be to never let it get cold in your heart. Always stay passionate. What does your daily piano practice consist of? How much do you practice daily? Two hours a day total spread throughout the day. And thank you! How much time did you spend with Metallica before playing “one” with them? Were you a fan of their music before working with them? 4 days. They are great musicians and they have the most passionate and energetic spirits I know. They're very sweet and down to earth people. I like to watch NBA and the European soccer championship. Hi! Do you have any tips on how to increase speed? I've been stagnating with the arpeggios at the beginning of moonlight sonata 3rd mvm, and I don't know if I'm doing things right. Is slow practice really the way? Slow practice, and also you need to make sure to move your wrist, not just your fingers. Do you ever rock the keytar? I would like to but only while playing Guitar Hero. Good day Lang Lang! In an alternate reality, if you weren’t a classical concert pianist, which career would you enjoy and choose to pursue instead? Ummm probably teaching piano or I'd be a comedian. Hi Lang Lang! Much love to you! I enjoyed very much your album I think I told you already in FB about one of the songs "Jasmine Flower" which Puccini used as inspiration for his Opera Turandot. I thought I was listening to Puccini ! Do you like Opera ? Happy you liked the traditional song from China. It was amazing that Turandot took this melody as it's one of the amazing operas in the world. Yes, I like opera. Especially Mozart and Puccini's operas. Hi guys! 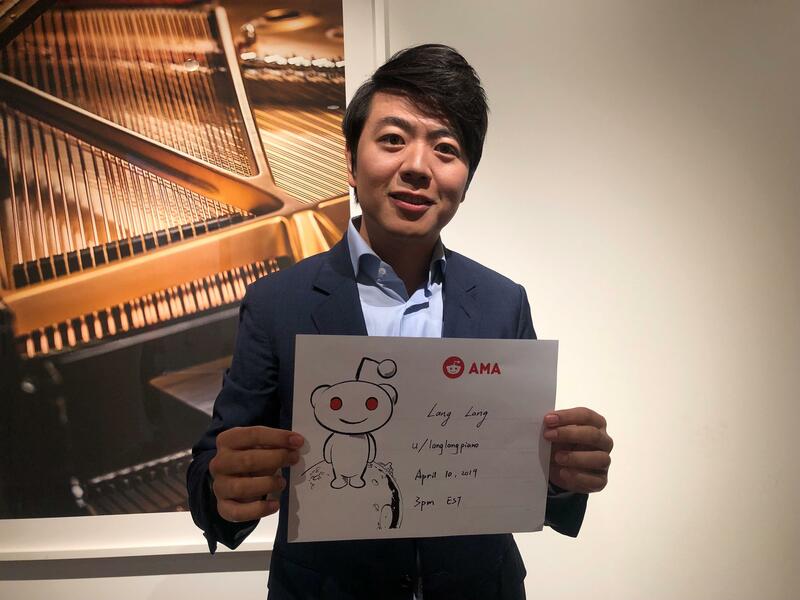 It's Lang Lang here to answer your questions on my new album "Piano Book"! I didn't have major psychological issues but of course at times I struggled to find myself and think about the future while in conservatory. As a student you should learn as much as possible from your colleagues in school, be friends, and try to learn together. Just improvising on piano or composing. Not a specific piece. Proof? And what's your favorite Shrimp Recipe?